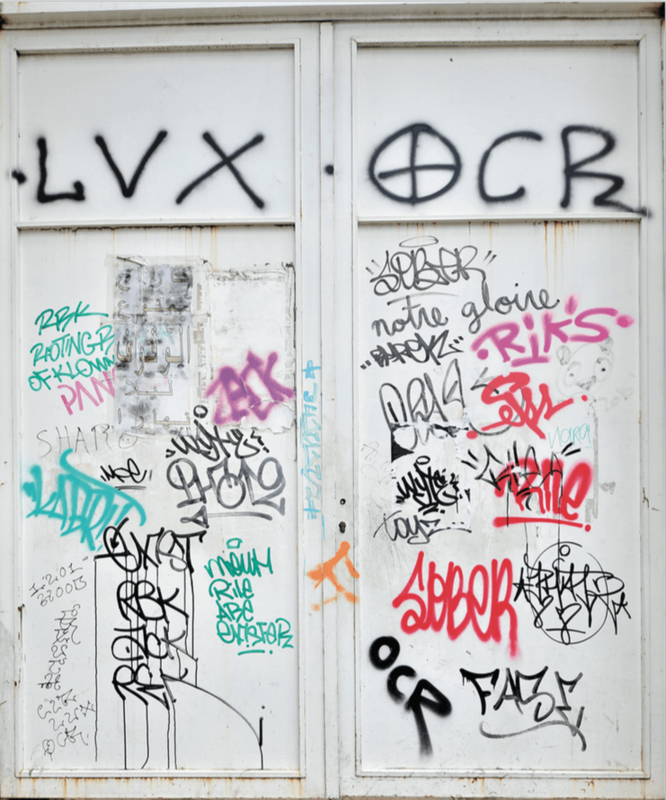 1 Tag: The most basic form of street art, a tag is usually a stylized name or signature done freehand in one color with a marker or spray paint can. 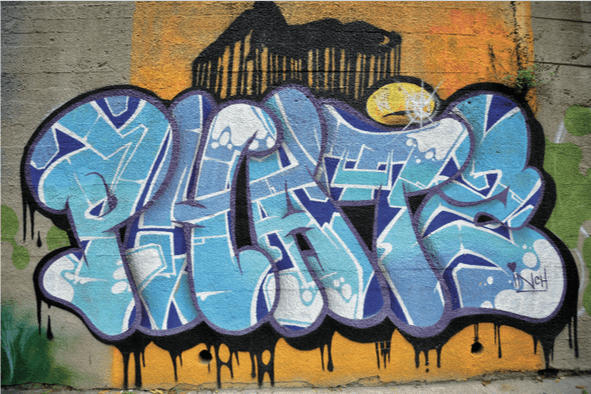 People who tag are known as taggers, writers or bombers. 2 Graffiti: Graffiti is a more elaborate style of writing than tagging, often using interlocking, bubble or 3D letters and symbols. Straight letter graffiti is usually relatively simple, easy to read and done using few colors. Meanwhile, wildstyle graffiti is written so intricately that often only experts can decipher it. 3 Character: Many street artists have signature characters, drawing them regularly and sometimes subjecting them to different situations. Observers begin to recognize characters as a signature of those specific artists. Some characters are adopted from known sources like TV or comic books, while others are original creations by the artist. In Lebanon, the Ashekman duo is known to use 90s superhero Grendizer in their work. On the other hand, EpS created his own monkey character, which, if you look closely, spells out his name. 4 Piece or Masterpiece: Pieces are complex artworks that show more images than words and are usually more time-consuming than grafitti. Pieces are considered the most beautiful works of street art because they require a lot of time and effort, and are often done with legal permits. Many of the works flanking Beirut’s Charles Helou highway are considered pieces. As part of the Urban Dawn exhibition, Brazilian artists Finok and Claudio Ethos drew several pieces in the Ouzai area of Beirut. 5 Legal Wall: Sometimes walls are purposely left for artists to draw over to avoid unwanted street art in other parts of the city. 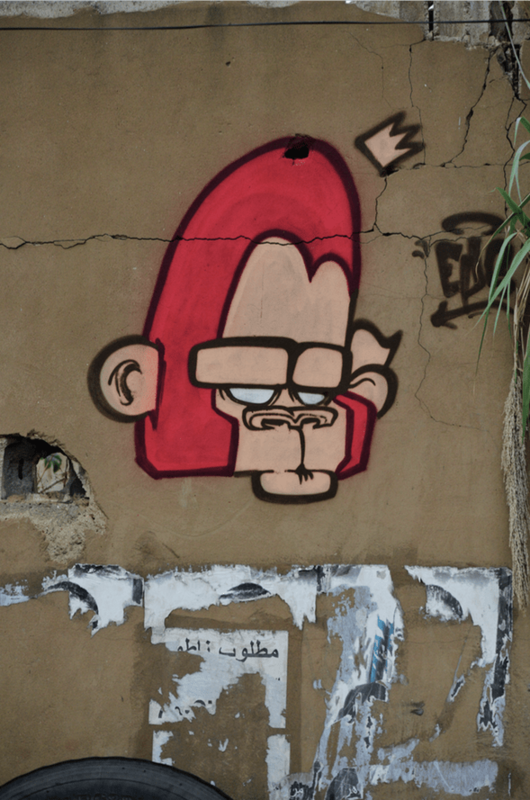 Many street artists in Lebanon also obtain permits from municipalities and private property owners in order to take their time and create their art legally. 6 Mural: A mural is a very large piece, usually on the side of a building, a legal wall or on private property. They are often done with permits as they may take several days to complete. 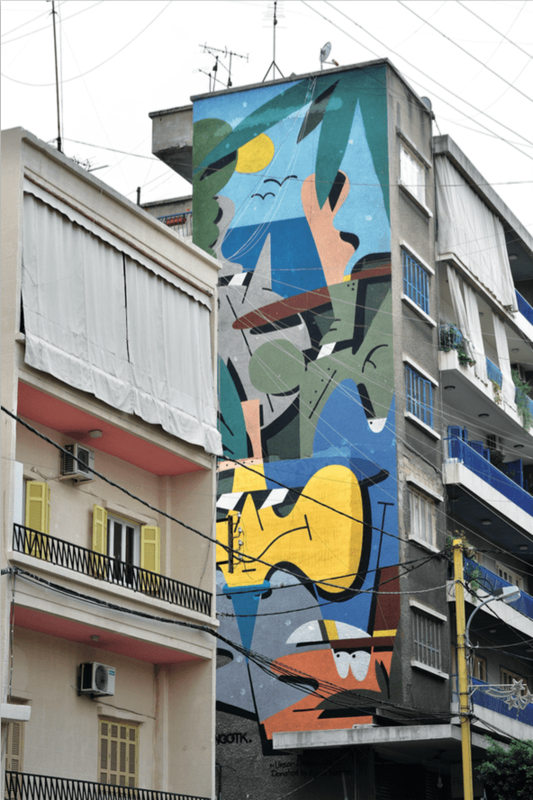 Yazan Halwani’s Sabah piece on Hamra Street is a well-known example, as is Chilean artist Inti’s mural (which was done as part of an event by Beirut Art Center) further down the same street. Several new murals have gone up this year as part of the Urban Dawn exhibition, including Russian artist Nootk’s cartoon-inspired mural in the Geitawi neighborhood and American artist Andrew Schoultz’s giant cedar-inspired tree in Ouzai. 7 Calligraffiti: Popular in this part of the world, calligraffiti is a style of graffiti that uses calligraphy. 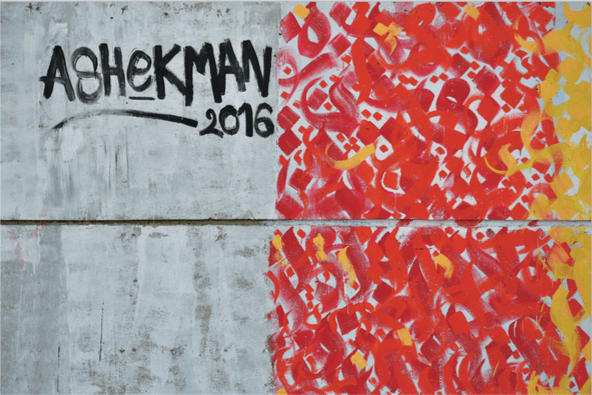 Ashekman and Yazan Halwani are renowned for using Arabic calligraphy in their work, while other artists use Latin letters. 8 Stencil: A stencil is a design cut out that can be painted or sprayed over. Stencils can be words, images or both, as well as one-off or used multiple times. 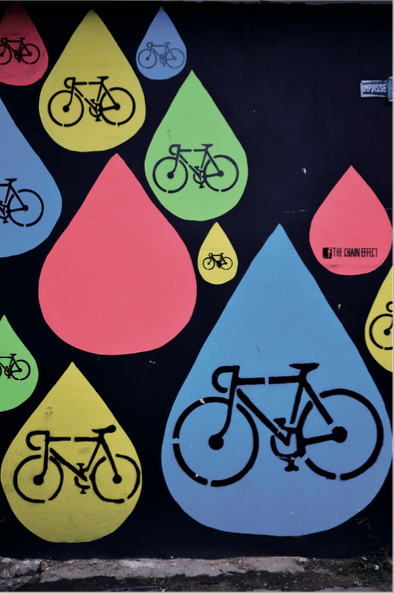 The Chain Effect organization uses bicycle stencils all over Beirut to spread their message encouraging the use of more bicycles. 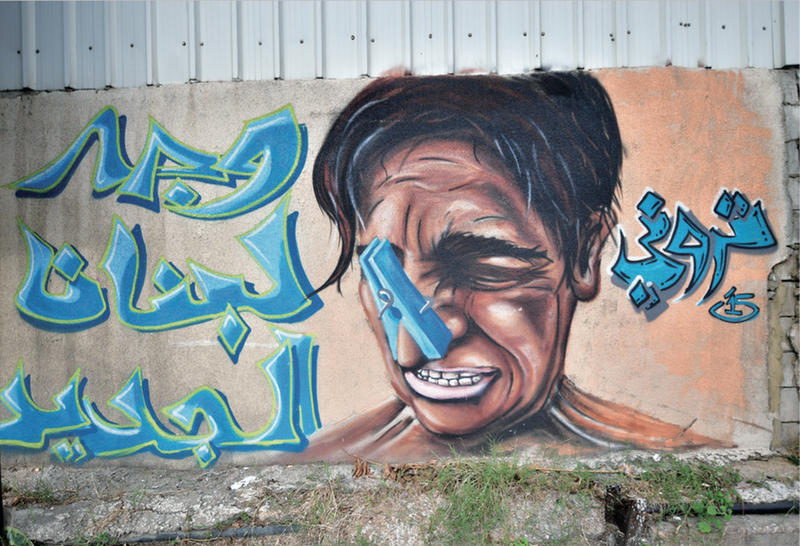 Yazan Halwani’s very first street art piece was a small stencil under his family’s apartment building. 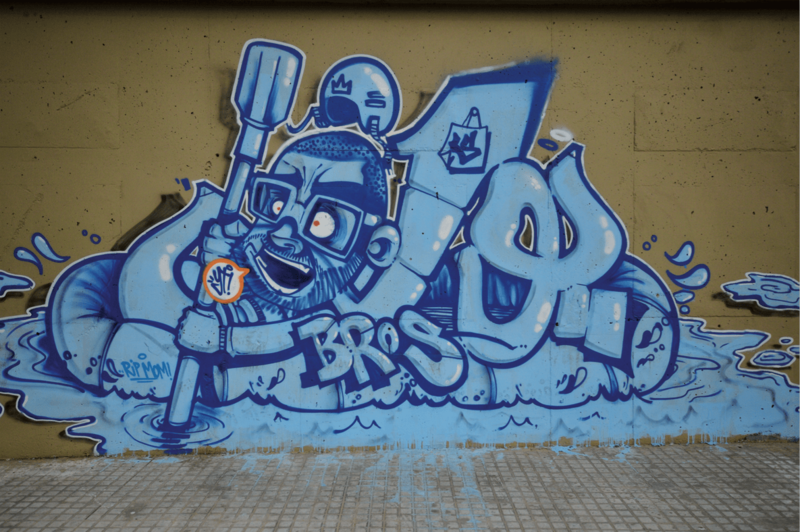 9 Crew: A group of taggers, writers or street artists that regularly work together, although sometimes artists collaborate without being part of the same crew.